Buyers of the Tesla Model 3 never thought they were getting all the luxury features of the Model S or Model X. 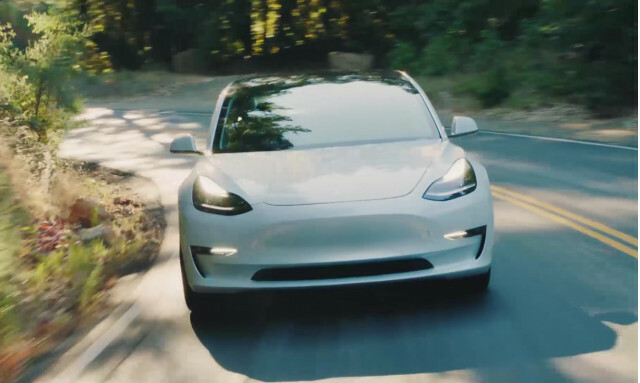 Now, with the latest over the air update, Model 3 owners will get a few more that will bring them closer to the levels of luxury found in Tesla's more expensive cars. As part of the Tesla's Autopilot 2 update, which CEO Elon Musk announced earlier this month, drivers will get more frequent warnings to return their hands to the wheel. In a rash of recent accidents, including a fatal crash in Mountain View, California, data from the Tesla vehicles has shown that drivers had their hands off the wheel for several seconds before the car crashed. Often after receiving repeated warnings from the car, they continued allowing the Autopilot system to drive without intervention and kept taking their hands off the wheel. The more frequent warnings are designed to discourage that behavior. Model 3 drivers will also now be able to summon their cars from, and send them into tight parking spaces or garages remotely. Tesla was one of the first automakers to release the Summon feature, along with BMW, in 2015. The feature will work either with the Tesla key or from the Tesla app. The final significant update will be the ability to receive future updates over wi-fi networks. This may be the last time a Tesla Model 3 has to connect using a slower LTE network to receive updates.